At least 10 people were killed in an armed assault on an education office in eastern Afghanistan on Wednesday, an official confirmed. Attaullah Khogyani, spokesman for the provincial governor, told Anadolu Agency that a group of armed attackers stormed the Jalalabad directorate in Nangarhar province of the Education Ministry at 09.30 (0500GMT). In a four-hour gun battle, 10 people were killed and 10 wounded, he said. Special forces of the Afghan National Police (ANP) took part in the operation to repulse the attack, he added. 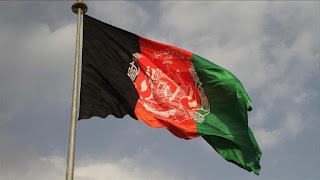 According to local Azadi Radio, multiple attackers wearing Afghan Border Police (APB) uniforms entered the official compound and started shooting indiscriminately. Two security guards are among the dead, it added. There has been no immediate claim of responsibility for the attack. This is the third deadly assault in the city in a month’s time. On Tuesday, a suicide attack on a security post in the city killed at least 10 people, including civilians and security forces. The city saw a similar devastating Daesh-claimed assault on the Afghan Sikh and Hindu community last week, killing 19 people. Located 120 kilometers from the capital Kabul, the Nangarhar province has long been plagued by a pro-Daesh militancy, with the militants having a number of strongholds in areas close to Pakistan’s restive tribal belt.